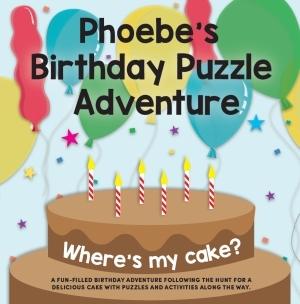 Personalised Children's Birthday Puzzle Adventure Book - Where's My Cake? Oh no! The cake for your birthday celebration has been delivered to the wrong person! 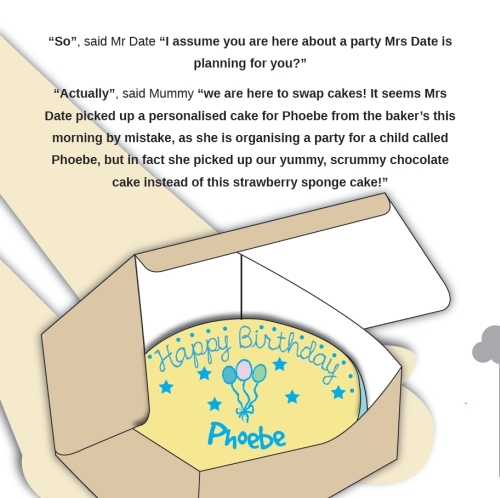 On this personalised and fun-filled journey (suitable for 6-10 year olds), you will discover the story of how you get the cake back and solve lots of exciting puzzles along the way. Activities such as colouring-in, spot the difference and dot-to-dots are included! Can you solve them all and help the cake find it's way back to the rightful owner? This enchanting story is the perfect way to celebrate your birthday and treasure the memories made forever. Answers to all puzzles are listed at the back of the book so do check there once the magical journey is complete. Printed on a large square 8.5 inch size, the writing is clear for children to read with plenty of room to solve the puzzles. We currently have a wide range of popular boys & girls names available. You can find yours by searching our author page on amazon.